Nice chop! Reminds me some conditions here at BA. 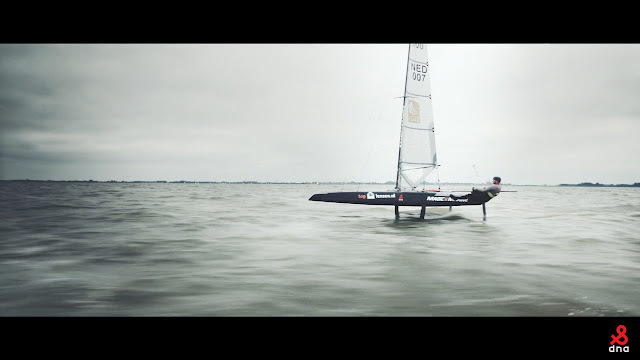 Foiling is going to be tricky and challenging with those at the Worlds. Here we are used to sail in chop and it's a lot of handling work as seen from Mischa in the clip but at 2x speed. Heemskerk is on a mission once more, Ashby will not be there but Bundock & Brewin will put same or more pressure as we expect a more leveled field in terms of equipment from what we saw at past Worlds in Punta Ala.